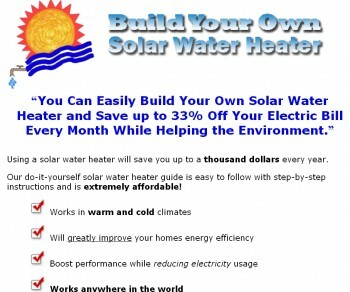 Home/Energy Efficient/Should You Opt For A Solar Water Heater At Home? The common question asked by the home owners is on the installation of hot water system which does not run on gas or electricity but on the solar energy. People are often seen spending lot of time in the conversation to find the right answer, including some of my blog readers. The benefits depend upon the type of system the home owners currently have and the type of energy which is normally used for it, the local climate, available water supply, available roof space and the space available for the installation of the water tank. But the main consideration is the needs of the home owners and the budget which should match their expectation. Market is full of various types and sizes of solar water heater system that almost meets the individual demand of the home owner. The issues like the cost and the expectation are the main concerns for both clients and the installers to make the right choice. Most of the solar water systems are cheaper to run than any other type of the system. The only problem is the upfront cost which may be double or even more than that when compared to electric heater system. The issue of high maintenance cost of the solar water system is also there. One has to keep in mind that the solar power water system is highly efficient but the installation cost and the maintenance cost is very high. When you think about the change, you must ask the installer the total budget including the cost of maintenance which includes spares parts and other accessories. You must also ask about the expected life span and compare the same with the other brands. The lifespan of a home solar water heater is normally 15 years or more. 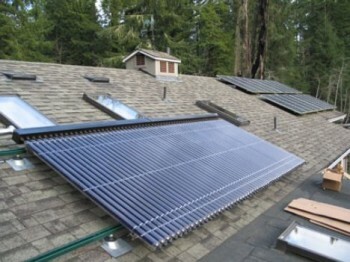 Home owners may probably find that there is no financial benefit when shifting to solar water heating system. There are cheaper alternatives available which when installed will significantly reduce the greenhouse gas emissions. There are other options which home owners can consider, these are High Efficiency Natural Gas Storage system or High Natural Gas Continuous Flow system. Some of these have the same level of greenhouse gas emissions which is similar to similar sized electric-boosted solar hot water system which is 1.3 tons for natural gas and 1.1 tons for electric boosted solar system. The upfront change over cost from an electric to Natural gas system is usually half of the changing from electric to solar or gas to solar hot water system. The maintenance cost is usually very low and the spare parts are also low in price. The running cost for natural gas system is usually half, when compared to the equally sized electric system; you may also consider using LPG gas. But this too is a fact that the energy cost is higher for any type of hot water system, the guaranteed benefits derived from the solar systems are environmental. Installing the solar water system will significantly reduce greenhouse emissions. It would depend upon the budget, climate suitable for solar a with enough roof space, then it would be worthwhile to install the solar water system. If you are looking for ideas to save cost on a home Photovoltaic (PV) water heater, why not build one yourself via a Do It Yourself (DIY) approach. For the right instruction, click on the link below to visit Tom Hayden’s web page on homemade solar water heater. -==> Click here to visit Tom Hayden’s site!